Carrie Horn has evolved with the media industry during her 17-year publishing career. 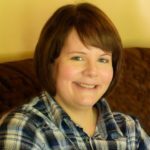 Her latest adventure blends all of her experiences with newspapers, books, and digital media into her freelance business, Adverbium Editorial Services. But her most important, and rewarding, challenge is raising two young daughters into tough-yet-kind women who can handle anything life throws at them.